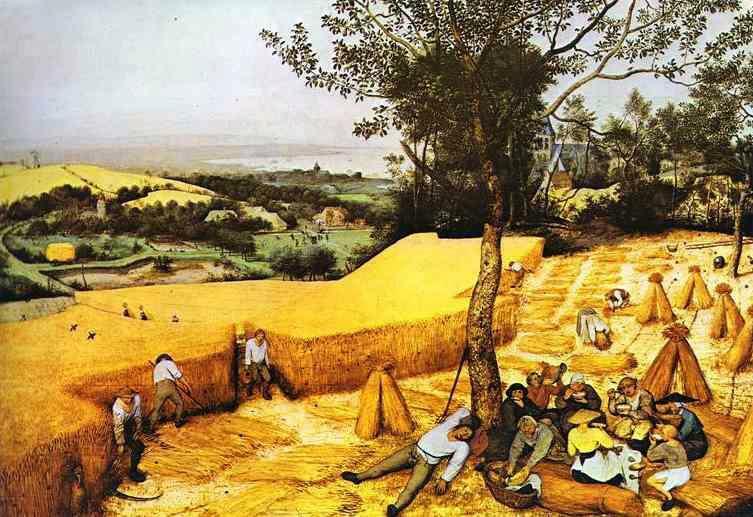 Lughnasa (1st August) marks the beginning of harvest-time and the ripening of the first crops. In Irish mythology, the festival takes its name from Lugh, the god of light. According to the Book of Invasions, Lugh was a boy hero who became king of the Tuatha Dé Danann. He was known as the ‘Bright One’, and was renowned for his all-round skills. Lugh proclaimed the festival in honour of his foster-mother, Tailtiu, who died of exhaustion after clearing the forests of Ireland so that the land could be cultivated. 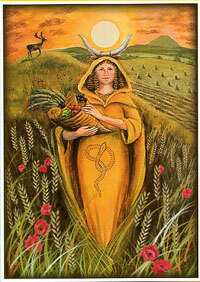 Tailtiu was a corn goddess, her role comparable to Demeter, Gaia or Mother Earth. Her funeral games became part of the ritual calendar of the Celts. The Christian church adopted this summer thanksgiving, calling it Lammas (loaf-mass). 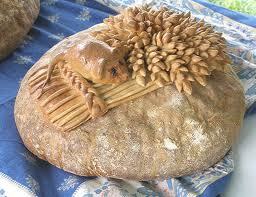 A newly-baked loaf of bread is placed on the altar in gratitude for the harvest. The honouring of Tailtiu’s sacrifice is echoed in the Catholic veneration of ‘Our Lady’. In modern Ireland, people still have parties to celebrate Lughnasa. In the USA, where many Irish immigrants settled during the 1800s, August was a time for family reunions. Later generations have moved Lughnasa get-togethers to coincide with the Fourth of July celebrations. * Lughnasa should properly be celebrated on 12 August since 1752 when Britain switched from the Julian to the Gregorian calendar. In Irish Gaelic, Lunasa is simply the name for August. In Scottish Gaelic the festival and the month are both called Lùnastal. **Lughnasa is sometimes called a fire festival. In fact, there were no fires apart from those needed for cooking and light. The festival is properly associated with water and earth, the attributes of a corn goddess. 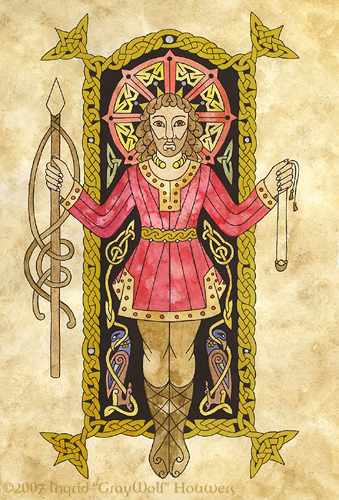 Lugh is shown here with a spear and sling. More about myths in ‘LifeWorks‘ by Jane Bailey Bain. Follow Jane on Twitter @janebaileybain. If you like this post, use the buttons below to Share on Facebook, Twitter or Stumbleupon. This entry was posted in LifeWorks, Mythology, Religion and tagged Celtic, Celts, corn goddess, festival, harvest, Lammas, Lugh, Lughnasa, Lunasa, Tailteann, Tailtiu, Tuatha de Danaan. Bookmark the permalink.